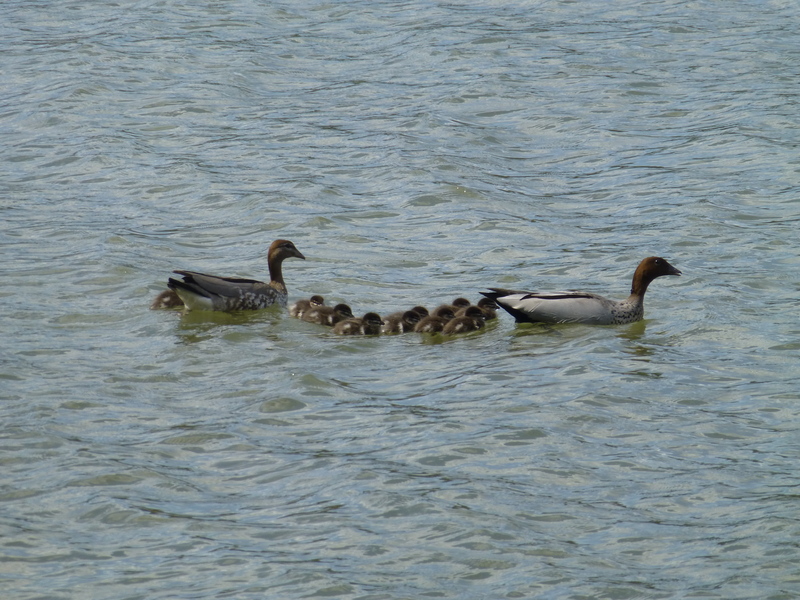 One of my favourite sights is that of a family of ducks. Now and then, a precious, feathered family finds its way into the river baths. I understand that there are breeding grounds not so very far away, and the babies’ tiny webbed feet are quite capable of making the distance. Here is a photograph of such a group in action. Do You See What I Can See? Every now and then I spot something in the park-something that makes me stop and take a second look. Sometimes it’s rocks. 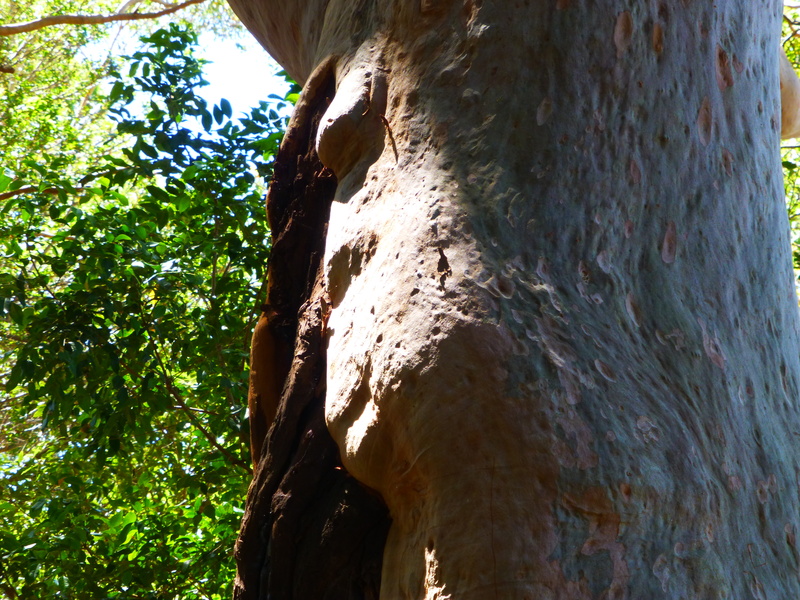 But this time it’s a tree trunk. 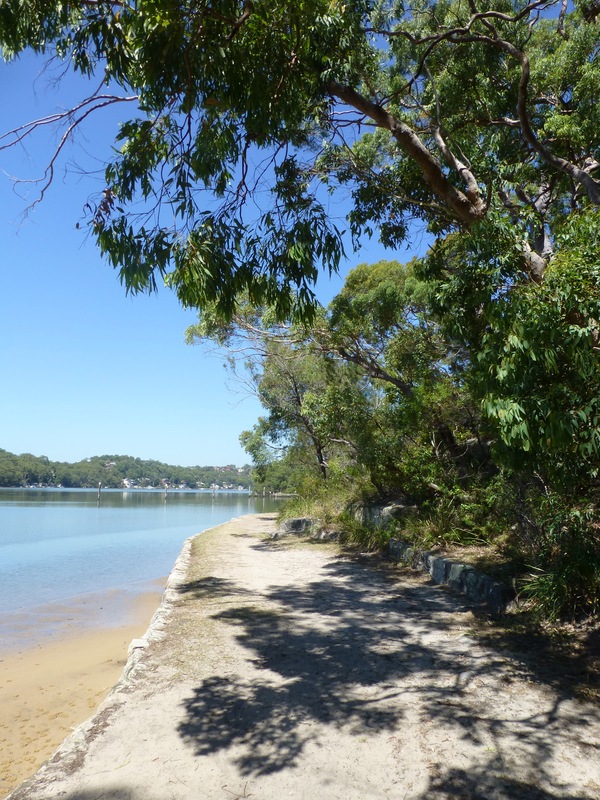 Most days, Chicki and I take a walk along this track beside the river baths. There are so many delightful views to be had in this area that spans less than 400 metres (a quarter of a mile). In fact I have taken dozens of pictures here and no two are identical. The flowering seasons, particularly of the native shrubs, are yet another source of interest. 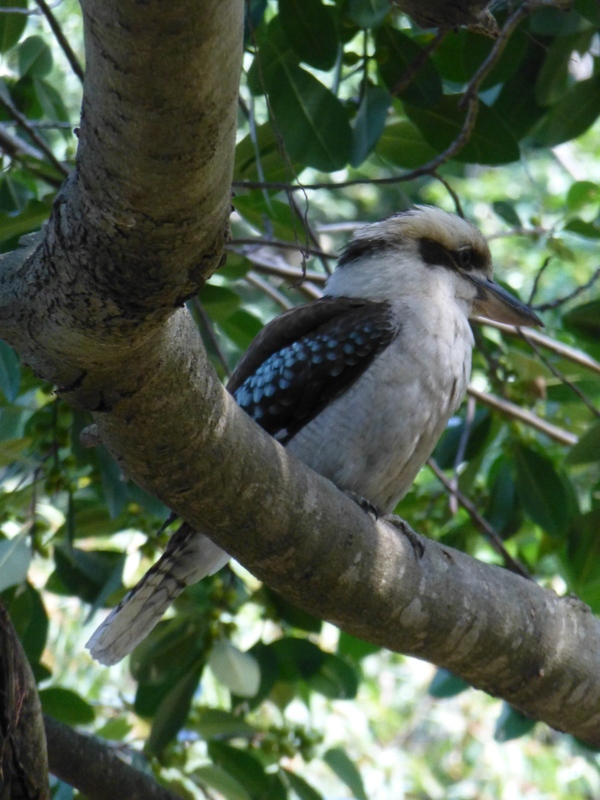 And there is always the possibility of seeing native water-birds, parrots, magpies and more. Another slice of Australian scenery! I’m guessing that’s what a certain duck is thinking. 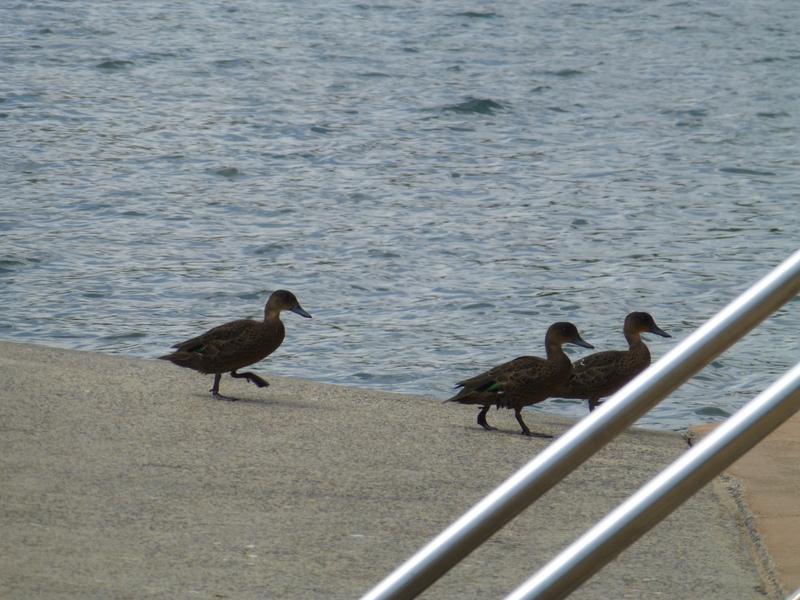 I watched them hurrying along the promenade, and quite suddenly fly off. As a child, I lived near the city. Although there was quite a large park nearby, never once did I see a parrot of any species flying free. How different life is now! 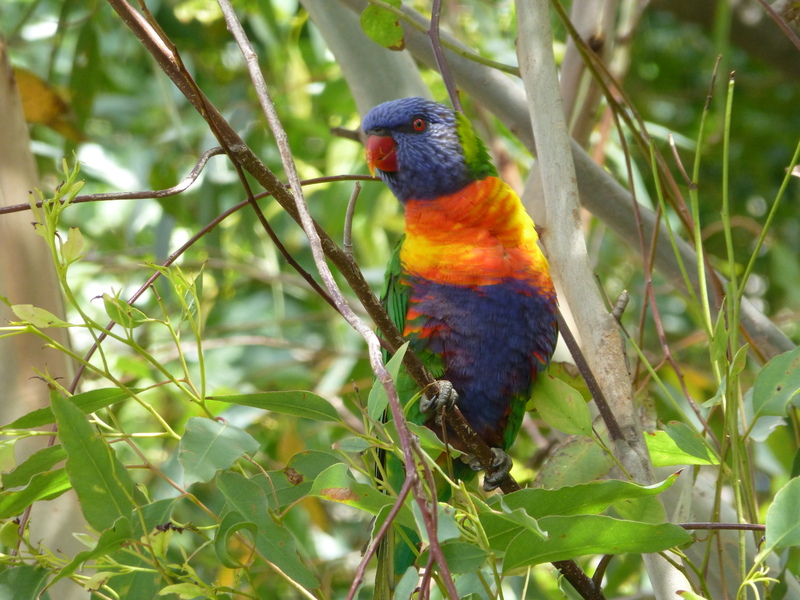 Living close to a large bushland area, parrots of many species have become an (almost) everyday sight. Crimson Rosellas and King Parrots each have lots of beautiful red feathers, but seem to be less common (or much shyer) than the Rainbow Lorikeets, Sulphur-crested Cockatoos and Galahs. Therefore it’s quite a treat to spot them. 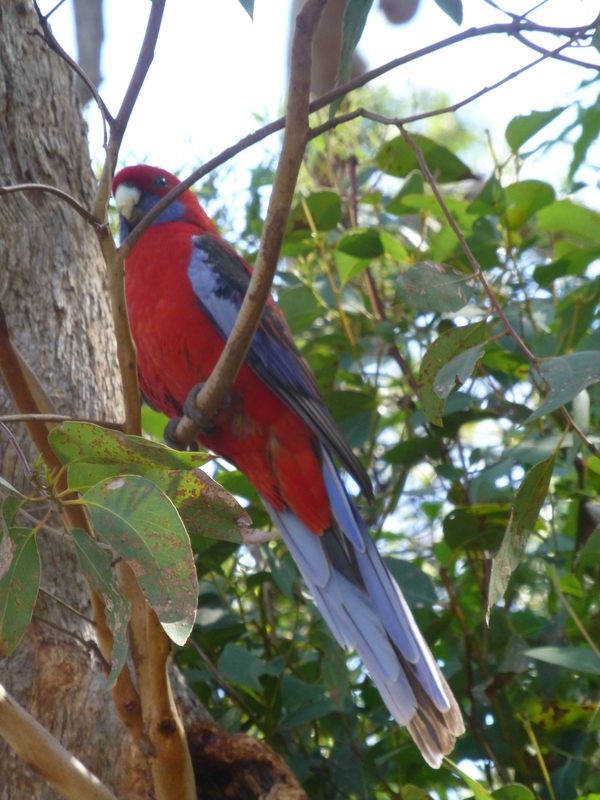 Here’s a shot of a Crimson Rosella perched in a tree in the park surrounding the river baths where I swim.